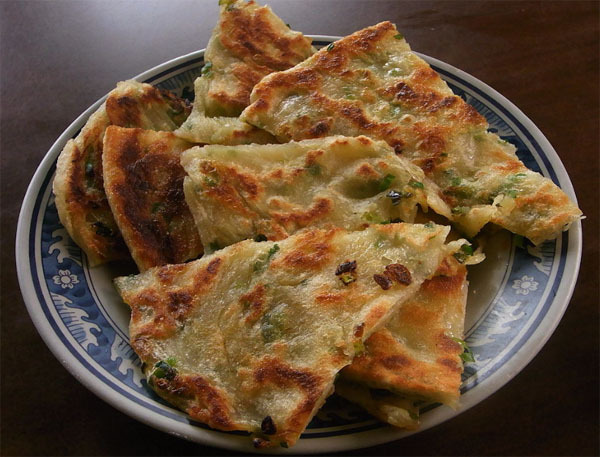 A scallion pancake (葱油饼) is a Chinese savory, unleavened flatbread folded with oil and minced scallions (green onions). Unlike Western pancakes, it is made from dough instead of batter. Variations exist on the basic method of preparation that incorporate other flavors and fillings. 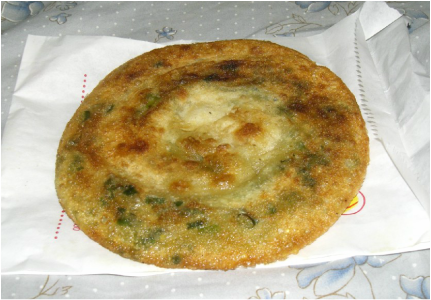 Scallion pancakes are sometimes served as a street food item but are also available in restaurants and commercially available packaged fresh or frozen solid in plastic packages (often in Asian supermarkets).